Michael Chavez is Chief Executive Officer for Duke Corporate Education. Michael is passionate about “re-humanizing leadership.” By engaging people around a purpose, shared meaning and empathy, he believes leaders can create the foundation for greater sustainability in a world that is more complex and unpredictable than ever. Michael’s research currently focuses on how leaders can most effectively shape, institutionalize and lead from a shared organizational purpose. Michael teaches, facilitates and advises in the areas of leadership and culture, organizational networks, team collaboration, strategy and execution. He brings to Duke CE more than 20 years of experience in the fields of executive management, marketing, strategy consulting and organizational learning and development. He has led projects all over the world and in a variety of industries, including technology, pharmaceuticals, consumer products, retail, financial services and media. Michael joined Duke CE in 2006 and held various leadership roles before becoming CEO in 2016. Before joining Duke CE, Michael spent over five years as a founding member of the executive team of a successful software start-up where he served as both VP of Professional Services and VP of Marketing. In these roles, he was instrumental in acquiring the company’s first Fortune 500 customers, delivering over $3 million in revenue in the first year of product delivery and leading to the company’s first round of institutional funding. 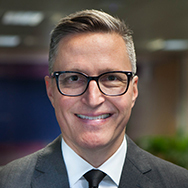 Prior to his start-up experience, Michael was Director and Senior Learning Consultant at The Coca-Cola Company, where he worked closely with senior executives in Latin America and Europe to improve executive team effectiveness, develop leadership and organizational capability, and accelerate business performance through collaboration. Michael also worked as a strategic planning project lead for both The Coca-Cola Company and The Los Angeles Times. He began his consulting career as a strategy consultant for Kurt Salmon, working with large industrial, retail and consumer goods companies in the US, Canada, and Latin America where he led key projects on market entry and growth, operational effectiveness, joint ventures, and valuation. Michael holds an MBA in finance from the Wharton School of the University of Pennsylvania, an MA in International Studies from the University of Pennsylvania and a BA in Economics from UCLA. He is both a US and UK citizen and is fluent in both Spanish and French.